Coursework constitutes the first major component of the IS Program. Every IS student's program of study and research is unique, so a plan of work is built around a student's special interest and particular needs. IS students are required to accumulate 18 course credits. This coursework expands and elaborates a student's proposed research project and assists in building the framework needed to draft a thesis proposal. Coursework is mapped out in conjunction with the program GPD and the Supervisory Committee at the Supervisory Conference. At York, one full course yields 6 credits; one half course, 3 credits. Six of every IS student's 18 course credits are assigned to Interdisciplinary studies 5000 6.0: Supervisory Seminar, which is mandatory. Students may accumulate the remaining 12 course credits in a number of ways: 3 or 6 credit courses calendared by other graduate programs at York; Interdisciplinary Studies 5010 3.0/6.0, 5020 3.0/6.0 Directed Reading; or Interdisciplinary Studies 5030 3.0/6.0: Practicum. The Program permits students to take a maximum of 6 credits as Directed Reading and/or Practicum in addition to the mandatory Intedisciplinary Studies 5000 6.0:Supervisory Seminar, therefore, IS students may take 2 full courses or 4 half courses or a combination of full and half courses yielding a total of 12 course credits. Every IS student entering the program is given permission by the Program Administrator to enroll in IS 5000 6.0: Intrerdisciplinary Studies Seminar. This seminar functions as an individually–tailored core course for each IS student. It consists of regular meetings and discussions between a student and their entire Supervisory committee both individually and as a group, and it is graded as a regular graduate course. Grading occurs immediately following an IS student's oral examination. See the form below. Be sure to have a title for this course that is an abbreviation of your thesis title. 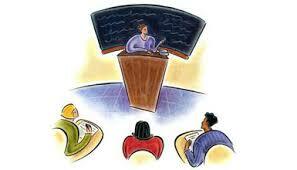 A Candidate or group of Candidates may request a faculty member to offer a directed reading course. Reading courses may cover any area not already covered in other courses offered in the Graduate Faculty in a particular year and must be pertinent to the student's research project. Students may not take more than one directed reading course (6 credits) towards their degree. Courses not approved by the IS program prior to the commencement of the course, and also not approved by the student's full supervisory committee in principle will not be mounted. Students are advised to check the relevant policy regarding adding/dropping courses as well as Directed Readings. No course credit/no grade except pass/fail. Students are automatically enrolled in this. Approval by the Faculty member teaching the course and the program hosting the course. Please use the Request to Take a Course in another Graduate Program at York form. Be sure to connect with the IS GPA for any questions. In addition to the course work, each student is expected to prepare and present a colloquium related to his/her research and to attend those colloquiums offered by other students in the program. These sessions provide an opportunity for students to share and discuss work in progress with other students and faculty. They are typically scheduled as a grouping spanning 6 weeks following the Winter Reading Week.... with two presentations per day. Students must submit an ABSTRACT and a TITLE for your Colloquium to the Program office and have a handout on the day. What are you trying to discover? What engages you about the project? Consider: Have you missed any key issues in the way you formulated the problem? in the scholarship? in the presentation of the scholarship? Death by Powerpoint - ha ha ha ha - but seriously don't do these things ! For detailed information on courses and all program requirements, please be sure to refer to your Interdisciplinary Studies Handbook.